Here we go with the list. Now, rather than attending these shows in chronological order, there is a certain order I have come up with and they will be listed by me in that order. It didn’t really want to attend a bunch of shows from the same time period all at once, so it jumps around a bit. These are also not ranked in any order of performance quality for the most part. But the last few are amongst the very best. Houston – May 21, 1977 Right out of the gate, I wanted a hometown show. This is a pretty darn good performance and the perfect start of the adventure. This time period is also during Houston’s heyday, which peaked around 1980 with the release of Urban Cowboy. Seattle – March 21, 1975 The 1975 tour didn’t make the list too many times (not that I don’t enjoy these performances, it’s just how the list ended up), but this one could not be left off for obvious reasons. Memphis – April 17, 1970 Completely night and day from the previous two shows, this one is the last full show before the third album was recorded. It represents the band at a creative peak when it came to the jamming and improvisation on stage during their first two years of touring. Not to mention it’s in Memphis, a city which is a favorite of mine. I have been there once before, and would love to visit it during this time period. As far as I know, Elvis was at Graceland during this time (as opposed to being on tour or at his home in Los Angeles) and the possibility of meeting him outside the gate adds to this date being a must for the list. Tokyo – October 2-3, 1972 The first multi-show trip on the list. For most of my life, Japan has been at the top of my list of countries I would most like to see, so there isn’t a shortage of Japanese shows on this list. I’ve always enjoyed the charm of the performances on this tour, even though the band (particularly Plant) are not at their technical peak. I also think the stage setup at Budokan with the band’s name in giant neon letters behind the stage was really cool and unique. London’s Marquee Theater – March 23, 1971 This is the first of three shows on this list in which no recording is known to exist. Consequently, we have no clue the quality of this performance. The first two shows of this tour represent the band in explosive form, but the BBC show is pretty poor in comparison. What were the shows in between like? I’d wager that a gig at such a historic London venue would have brought out the best in all four band members; and knowing what they were capable of at the time makes that thought all the much better. Also, just think of cool it would be to see the band in such an intimate setting! Hamburg, Essen, & Offenburg, West Germany – March 21-24, 1973 In this trip, I stretch the rules a bit. It spans over four days and takes place in three different cities. However, all of the cities are within reasonable driving distances of each other (at least reasonable for someone who lives in Texas and has to travel around the state because of his job). Anyway… I’ve only recently started listening to shows from this tour and I must say, they are not overrated. Fabulous performances, and also taking place in the country most of my heritage comes from. Germany is probably second or third on my list of countries I would most like to see. I believe most of my family on my mother’s side is from Frankfurt to be exact, so a stop there on the 23rd while traveling from Essen to Offenburg would be a must. Los Angeles – September 4, 1970 For obvious reasons, a number of shows at the Forum will appear on this list, but not all of them. However, the ones that are included I want to attend in chronological order and this is the first one. It’s also the first show on this list from arguably my favorite tour of America. Not much can be said about this gig that hasn’t already been. It is a world famous gig and rightfully so! Communication Breakdown alone is worth the price of admission! Dallas-Fort Worth – May 18-19, 1973 The Dallas show is one of two gigs in which I personally know someone who attended it (the other one is Tampa 1977, but for obvious reasons that one is not included here). Of all people, the preacher at a church I attended for 7 years went to this show when he was 17. He and I were very close and he shared his memories of it with me several times. He described it as the greatest and most exciting concert he ever attended. In listening to this show, it seems a bit subpar for the era, but the only recording of it is one of the driest soundboard recordings (at least that I have heard). I believe a much better performance is buried in the mix. The Fort Worth show that took place the next day is one I have not listened to at this point, but it is marked as a “must hear” on the Year of Led Zeppelin blog, and he didn’t give those out lightly! Come to think of it… the Tampa 1977 show might be kind of exciting to attend! Well actually… I’d better leave that one alone… someone in my entourage could get hurt! 😁 Well, those are the first 8 trips out of 26. I'll pick this list up tomorrow. There have been plenty of “which concerts would you most like to attend” topics, but I thought I’d put a new spin on it. In coming up with which concerts I would most like to attend, it sort of evolved into a fanfiction type of scenario; and as time went on, this fantasy of mine was becoming quite enjoyable to conceive. This is probably a good time to point out that since this post is based completely on fantasy, it isn’t really meant to be taken seriously, it’s just something I drummed up for a little fun, nothing more. 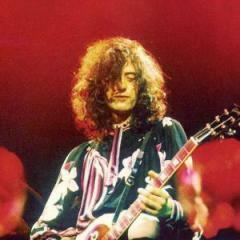 Led Zeppelin has always been a very mythical band, and they always appreciated mythical tales! So basically in this fantasy of mine, I have a time machine. With it, I can take a small number of friends with me back in time to attend Led Zeppelin concerts. But since this sounds too good to be true, I had to stipulate some rules… The first one being that when the time machine is used, I and anyone else that goes with me are gone in real time. So basically if we’re in the past for two days, we’re gone from the present for two days. With that in mind, I figured that the weekend would be the best time for me and most other people to use it. I also set a limit for the number of times it can be used: 26 times. Enough to use it every other weekend for a year. But that doesn’t mean I can only attend 26 shows; because since I have an entire weekend to work with, it works out in some cases that multiple shows can be attended in one trip. If multiple shows were performed in the same city on consecutive days, I can attend as many as shows for as long as I wanted to remain there. There were also some occasions in which the band performed two shows in one day. So in choosing these 26 trips, one thing I kept in mind was to try to milk them as best I could and attend as many shows as possible while at the same time, keeping every trip under three days (however on two occasions, I break this rule; more on that later). Naturally while picking, one would want to choose the absolute best performances to attend; and while this is mostly true for my list, there were other elements I kept in mind as well. I’ll address those when they come up. But one thing I will point out right now is that I’m from Houston. I was born and raised in Texas and as a matter of fact, in my 26 years of life, I have spent a total of less than two months time outside of the state. The point is… there is no shortage of shows performed in my hometown on my list, and thankfully, they never gave a bad performance in Houston, so it’s a win-win. While all but currently three of these shows exist on audio recording, I wanted to leave out shows that were professionally recorded on film or video. But of the shows which fit that bill, the only one I would have considered for this list is the Ahmet Ertegun tribute concert at the O2. I also wanted to include as many years as possible, and in the end, the only one left out was 1980. There were some really good performances during the Tour Over Europe but I had to narrow the list down, and none of those shows made it. Everything you said here is part of the point I was trying to make. It is part of the Led Zeppelin folklore that the third album was met with confusing and negative reaction (maybe "severe backlash" was too strong of a term, but you get what I mean) from fans and critics alike because it was so different from the first two. However, being a fan for over six years now, I find that story to be a bit of a myth. One reason being due to the lack of backlash from fans. Fans booed Dylan from going electric, surely they'd boo Zeppelin for going acoustic, right? But no. Now granted, the dates you mentioned were before the actual release of the album, but you spelled out my exact point. It is common knowledge in Led Zeppelin history that there was severe backlash to the band "changing their sound" with the release of the third album, but it has always seemed to me that this is an exaggerated story. I don't believe I have ever heard or read a bad remark about that album from any real fan of the band, young and old. Sure, the critics didn't have a lot of good things to say about it (and some of the reviews are just as harsh as you might imagine), but seriously, the critics almost never had anything good to say about Led Zeppelin. Now, I must admit that when I was first introduced to their music (through a friend who lent me their first five albums on CD about six years ago, and incidentally, LZ III was his favorite), the first album was the one I liked the most, and the other ones took some time to grow on me. So I can understand that the third album no doubt came off as quite different that the first two to many fans. But I certainly don't think anyone really disliked it. They still continued to buy more albums and concert tickets for the next 10 years. The band themselves certainly didn't seem to think they changed their sound. The way Bonham put it in the Sydney interview sums it up best... every album is different, but they're all unmistakably the same... the band records songs they write and choose the best ones to put on the album. I'm not saying this is completely a mythological story, obviously not everyone shares the same opinions about the band and their music, but it just seems like a bit of an urban legend that developed through the years... all of it stemming from the really bad press. Anyone else feel this way? Any first hand stories of that album? Today I was listening to Thank You, and for some reason, I could hear the backing vocals more prominently than I ever have before (possibly due to listening through my computer speakers rather than my main stereo speakers). To my ears, the other voice singing the line, "little drops of rain, whisper of the pain" (which comes through almost louder than Plant's voice) belongs to Bonham. However, it is Page that is listed as the backing vocals of the song on its Wikipedia page. Anyone know who it is? No kidding? Millard wasn't involved in this at all? Is this a common misconception? So if this is true, it is a soundboard recording on the original record. Well this is new information to me. I’ve thought all this time that the bootleg was sourced from Millard’s recording. Right after I posted this, I saw another link for this show on Youtube. This is clearly the same source as the vinyl rip except for the very beginning, in which we hear an inferior source up until a few seconds into Immigrant Song. The inferior source does appear to be the one I used to listen to because I recognize the stage announcer listing the names of the band members; and even though it is inferior, it still sounds really good. Like I said before, Millard's recording sounds like a decent soundboard, and it's even more apparent here with the source change. Which raises the question... How in the world was he able to capture the recording in such great sound? I understand he would wheel himself up close to the stage with the recording equipment under his wheelchair, but no matter how close you get to the stage, the atmosphere and ambiance of being in the audience would probably still be heard on the tape. I have heard the legendary Blueberry Hill concert many times in the form of the full show and original sequence, but just recently I got to hear a vinyl rip of the original album for the first time. Now I don't know if the source of the recording I used to listen to on Youtube was not the actual Mike Millard recording, or if it had just lost a few generations of quality, but this original vinyl mix doesn't sound like the very good audience recording I was used to hearing... it sounds like a pretty decent soundboard recording. It's easy to realize now why fans back then supposedly though that this was an official release (coupled with the fact that the bootleg business was still in its infancy then, so most fans probably wouldn't have known the difference). Apparently they did play it, but Jimmy has said that the recording feed to Jones' organ was absent; that's why we've never heard it. Thanks for the compliment. This is just how I would've wanted it. Everyone has their own opinion. I'm not here to preach to anyone from the LZ Bible. Well, live albums (particularly back then) didn't always follow the concert sequence, and I think CB is a better opening than We're Gonna Groove. I made an edit of this track sequence using a bootleg of the show, and it sounds great. I wish I could have included Heartbreaker on the album, but a full version isn't available. Who else thinks this should have been released between the second and third album? Like the artwork? I did most of it myself. (Disregard the date typo, I need to fix it.) Which songs do you think should have been used for this release?